Well, we took advantage of the long weekend to go down to my mom's for the long weekend. It was our last chance to see my daughter's birthgrandma before she moved back to Alaska, and a nice way to celebrate Firecracker's birthday with more family. Firecracker and Boy both loved the felt food and thrift store dishes. Now I can get some pictures of them actually playing with the food and I don't have to be sneaky about writing these blog posts and making the food. 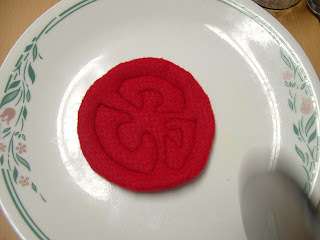 There are as many ways to slice a tomato out there as there are people making felt food, so here's mine. 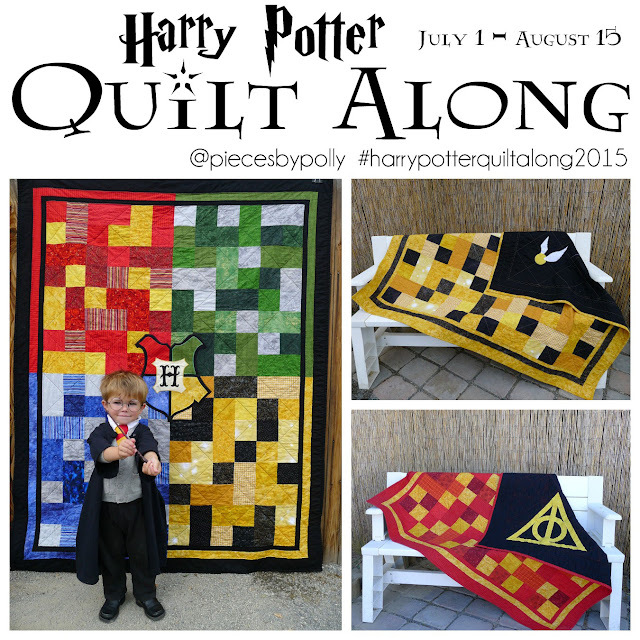 Mine is a bit of a combo between the one found on One Inch World and the one found on Crafter here. 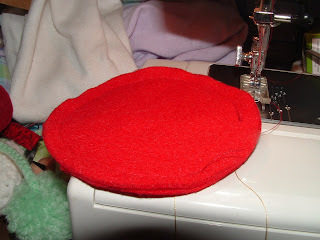 I probably would have done it the way she does on One Inch World, but I don't have the stuff to do needle felting. There are certainly eaiser ways to do this, so I'll give a few tips for simplifying at the end of this looks too intimidating. 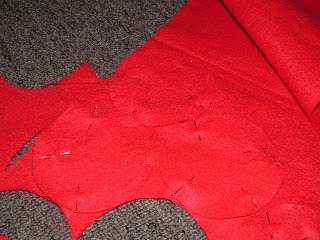 Materials: Two colors of red felt, sewing machine (or you could hand sew), thread, a sharp pointy pair of scissors (although a sharp seam ripper would probably work too). 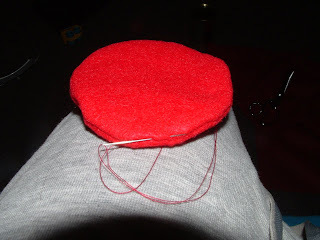 Then I pinned them to more of the same color felt to make the second side. Sew with about a 1/4 inch seam, leaving part open for turning. 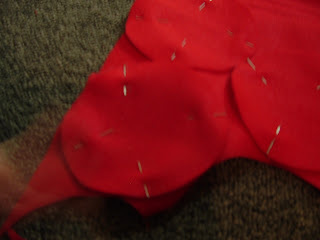 Trim the seam allowance and snip some notches in the seam allowance that's left. 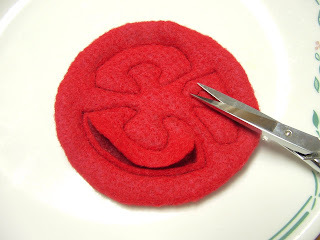 Cut a circle of your second color of felt just a bit smaller than the size of your tomato and put it inside your tomato and smooth it flat. Stitch the cut tomato design onto your tomato. I used my free-motion foot because I've been wanting the practice to use, but a regular foot is probably preferable here. I didn't draw them. I just went ahead and stitched them because I didn't want them to be perfect. I wanted each slice to be just a bit different. 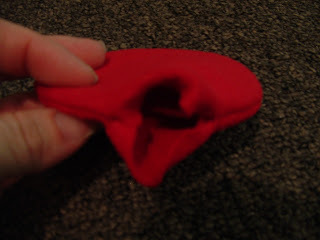 Use a small pair of scissors to cut off just the top layer of felt, so you can see the second layer of different red felt. I did this on both sides of the tomato. 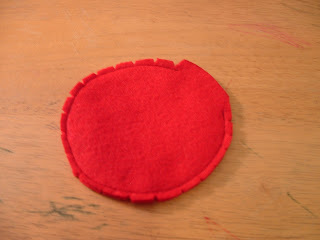 Leave out the middle layer and just use the stitching to make it look like a tomato. Sew the main part of the tomato more like the pepperoni...leaving the raw edges showing with or without the middle layer. Those tomatoes are darling - it was fun to see them in person this weekend! 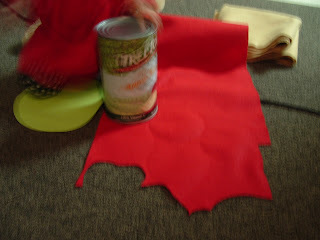 I agree, the kids had a ball with the felt food. Love this! I love felt food! 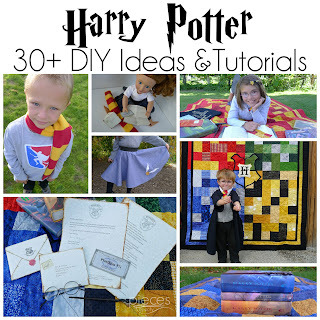 I've always wanted to try making it - might give this a try. 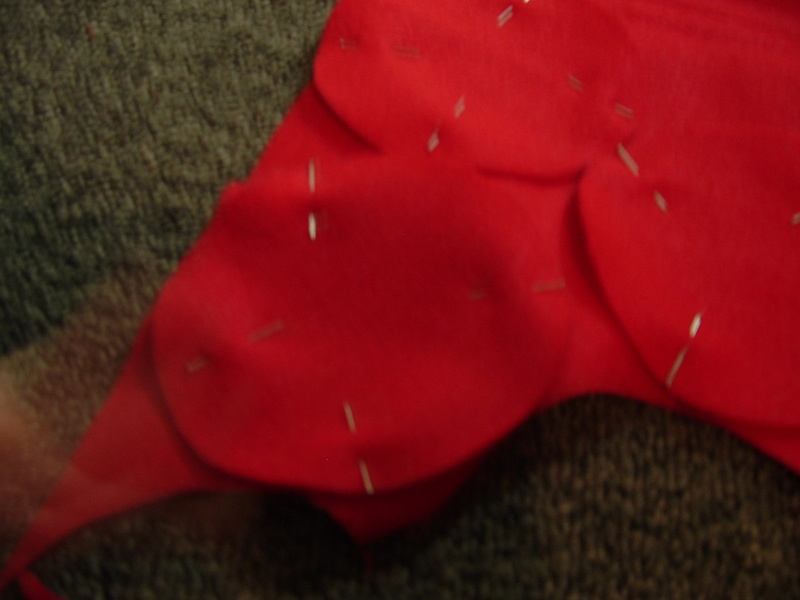 I'm a little intimidated by the sewing though! You are SO talented! They're fantastic! 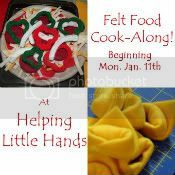 I love felt foods- that tomato is just amazing! Those look SOOO good! I think I'm going to have to have tomatoes for lunch. The detail you put into these is amazing!!! I'll admit that I'm a little scared to try--even though you made it look so easy! 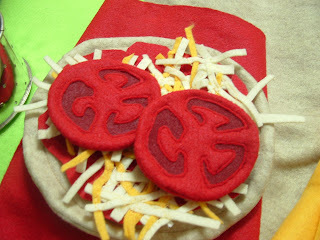 I love felt food, though--it's definitely calorie friendly! 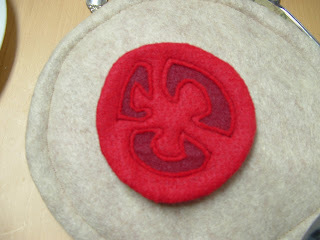 I love the idea of sewing the inside shapes and then trimming both sides out to get the reverse applique. So much better than cutting them and then swearing to get it to work! I like how it makes both sides come out the same without going to much effort. The detail is awesome! Thanks so much for sharing!